Free Shipping Included! 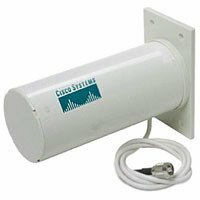 Cisco 2.4 GHz 10dBi Yagi with RP-TNC Connector ( AIR-ANT2410Y-R ) by Cisco Systems at AABX. MPN: AIR-ANT2410Y-R. Hurry! Limited time offer. Offer valid only while supplies last. Ubiquiti AF-5U airFiber 5GHz Wireless PTP 1.0+ Gbps (Worldwide Version) FOR EXPORT ONLY!